1.In a large bowl, whisk together the first seven ingredients, then whisk in the coconut milk. Reserve and refrigerate 1/2 cup of the mixture divided evenly in two containers. 2.Cut off the tips of the wings (reserve them for stock or discard), then halve the wings at the joint. Place them in the bowl and toss them with the marinade. Cover the bowl with plastic wrap and refrigerate it for at least an hour, but preferably overnight. 3.Just before grilling the wings, toast the coconut in a medium-size skillet over medium heat, stirring constantly until golden brown, about 10 minutes. Pour the flakes onto a plate and allow them to cool, then lightly crumble the flakes with your fingers and set them aside. 4.Prepare the grill for cooking and oil the grates. Grill the wings 8 to 10 minutes per side, turning once, or until the meat is no longer pink inside. Use one container of the reserved marinade to baste the meat at each turn. 5.As the wings finish cooking, warm the other container of reserved marinade in a small saucepan until heated through. 6.Transfer the cooked wings to a platter and coat them with the warmed marinade. 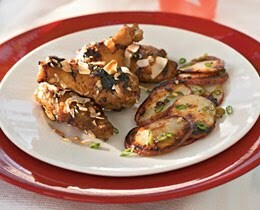 Sprinkle the wings with the toasted coconut and serve them immediately. Serves 6 as a main dish or 12 as an appetizer. తయారీ విధానం : ముందుగా బాణలిలో రెండు టీ స్పూన్ల నూనె వేసి వెచ్చబడ్డాక ఆవాలు, మెంతులు, ఎండు మిరపకాయలు, ఇంగువతో తాలింపు వేసి పక్కన పెట్టుకోవాలి. ఇప్పుడు సన్నగా తురిమి పెట్టుకున్న బీట్‌రూట్‌ని పచ్చివాసన పోయేదాక నూనెలో వేయించాలి. ఇది చల్లారిన తర్వాత మిక్సీలో వేసుకుని అందులో తగినంత ఉప్పు, చిటికెడు పసుపు, నానబెట్టిన చింతపండు గుజ్జు, ఇంతకుముందు వేయించి ఉంచిన తాలింపు మొత్తం వేసి రుబ్బాలి. ఈ పచ్చడిని ఒక కప్పులోకి తీసుకుని దానికి కొద్దిగా మినపపప్పు, ఆవాలు, కరివేపాకు, తాలింపువేసి కలుపుకోవాలి. ఈ చట్నీ వేడి వేడి అన్నంలోకి, చపాతీ, పూరీల్లోకి చాలా రుచికరంగా ఉంటుంది. ముందుగా మైదా, గోధుమపిండి, ఉప్పు, నీళ్లు వేసి పూరీ పిండిలా కలిపి పక్కన పెట్టుకోవాలి. కాచిన పాలలో పంచదార, కొబ్బరిపాలు, యాలకుల పొడి, గసగసాల పొడి(నూనె వేయకుండా వేయించి పొడిచేసి ఉంచుకోవాలి) వేసి పంచదార బాగా కరిగేవరకు కలిపి పక్కన పెట్టుకోవాలి. ఇప్పుడు కలిపి పెట్టుకున్న పిండితో పూరీలు చేసి ఎర్రగా వేయించి ఈ పాలలో వేయాలి. ఇవి బాగా నానితే మంచి రుచితో నోరూరిస్తాయి. ఈ పాల పూరీలు మంచి బలమైన ఆహారం కూడా. మొదట బియ్యం, మినప్పప్పును నీటిలో నానబెట్టుకోవాలి. తరువాత దీనిని మిక్సీలో వేసి కాస్త ఉప్పు చేర్చి పూర్ణం పిండిలా పట్టుకోవాలి. తరువాత చిలగడ దుంపలను ముక్కలు కోసి ఉడకబెట్టుకోవాలి. చల్లారిన తరువాత ఈ ముక్కలకు బెల్లం, యాలకులు కలిపి మెత్తని ముద్దలా చేసుకోవాలి. పుట్నాల పప్పును పొడిచేసి ఈ ముద్దలో కలపాలి. ఇప్పుడు ఈ ముద్దను ఉండ ల్లా చేసుకొని పూర్ణం పిండిలో ముంచి నూనెలో దోరగా వేయించి తీసుకోవాలి. దీంతో చిలగడ దుంప పూర్ణాలు రెడీ అయినట్టే. Procedure :1. Peel the Potatoe skin and cut into medium size cubes. 3. 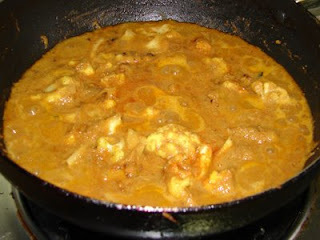 Add oil in a heated Kadai/Pan, allow msutard to splutter and then add cut onions, green chillies, curry leaves adn saute til onions turn slightly brown. 4. Add the Cauliflower and Potatoe peices, red chilly powder, salt, and mix well to give an even coat of all ingredients. 5. Sprinkle some water and cover with lid to cook the vegies in steam for about 15- 20 minutes. 6. Keep mixing periodly to add more water if reqiured. 7. Once the vegies are almost cooked add the tomatoe puree, mix well. 8. Cook for another 5 minutes or till the vegies absorb the tomatoe flavour into them. 9. Add the finely chopped corainder leaves just before removing from heat. 1. Chop the ladyfingers, onion, green chillies, tomatoes and keep aside. 2. Heat oil in a thick bottom kadai, add cumin seeds and mustards, let them splutter. Add curry leaves, green chillies and chopped bhindi pieces, mix well, fry for 10 minutes(uncovered), stirring between on low heat. 3. Add chopped onions, mix well, fry till transparent. Add turmeric powder and ginger garlic paste, mix, cook for more 3 minutes. 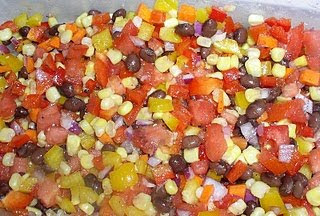 Add chopped tomato pieces, mix, cook for more 5 minutes, add salt. Mix, again cook for more 5 minutes and sprinkle the finely chopped coriander leaves and turn off the heat. 1. Heat 1 tbsp oil or butter, add the washed florets, stir fry for 5 minutes continuously on medium flame, remove and keep aside. 2. In the same vessel, heat oil, add jeera and mustards, let them pop, add chopped onions and curry leaves, fry till slightly reddish. 3. Add turmeric powder and ginger garlic paste, fry for few seconds, add all powders and salt except garam masala powder, mix, fry for few more seconds. 4. Add the chopped tomatoes, cook till oil separates from the edges of the vessel. 5. Add fried cauliflower florets, mix gently, covered, cook for 5 minutes on low heat. Add garam masala powder, mix gently, covered, cook for 5 minutes on low heat. 6. 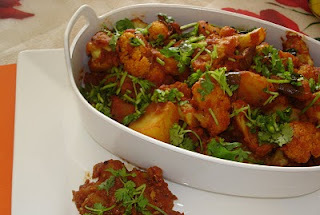 Garnish with chopped coriander leaves and turn off the heat, once cauliflower florets become completely tender. 7. It goes well with rice and chapatis. Lightly fry the paneer cubes before hand and keep them aside. Cut the onion lengthwise into small pieces and slit the green chillies lengthwise. Heat oil in a pan. Add cinnamon, cloves, cardamom, bay leaves to the pan. Add onions, green chillies, turmeric powder and fry them a little. Add fenugreek leaves to the pan and let them cook a little bit. Wash the rice and add enough water for the rice to cook(I usually follow 1:3/2 ratio for rice:water), add the above cooked fenugreek leaves mixture and paneer cubes to rice and let it cook thoroughly. End result tasted almost the same as my mother's, mission accomplished :-)). •Cut tomatoes into two halves and make few slits on green chillies and keep them aside. 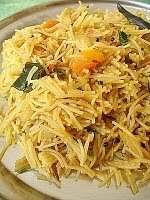 •In a pan add 1 spoon oil and fry the green chillies and keep them aside. •Then fry the tomatoes also on a medium heat till they turn soft as shown above and allow them to cool down. 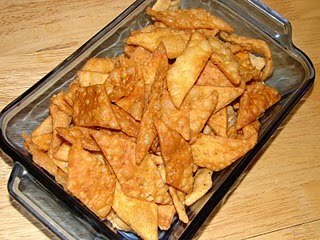 •In another pan dry fry the sesame seeds till they pop up which will take about one minute. •Now in a mixer jar add these fried tomatoes, green chillies, sesame seeds, tamarind, 1 tsp cumin, garlic and salt and grind them to make a coarse paste. 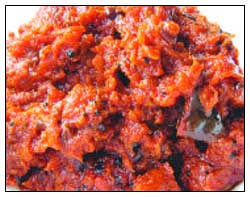 •Tomato chutney is ready to be served with hot steamed rice or ulli dosas (Onion dosa). •Season it if you like. For seasoning, take 2 spoons oil and preheat it and keep the stove on medium heat. 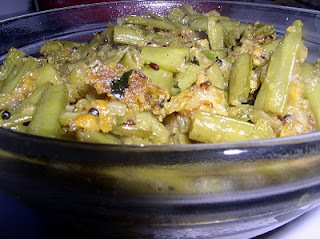 •Add mustard seeds, 1 tsp cumin and black gram and toss them till they pop up. •Now add dried red chillies and curry leaves and fry them till the seasoning starts smelling good, this will take few seconds only. •Add the above to the chutney and serve. Tip : Raw tomatoes tastes amazing for this chutney. Pan fried sesame seeds are optional to this chutney. These are added to give a smoky flavour to the chutney. •Chop onions and chillies into small pieces and keep them ready. 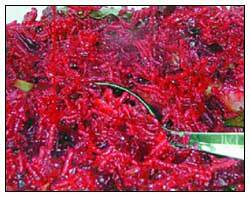 •Cut brinjal and sweet potatoes into bigger pieces as shown in the picture above. •Now in a pan add 3 spoons of oil and preheat it. 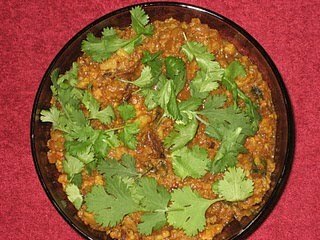 •Add fenugreek seeds to the oil and fry it for few seconds, when it starts smelling good and turns golden add chopped onions and chillies and fry them well till they turn golden. 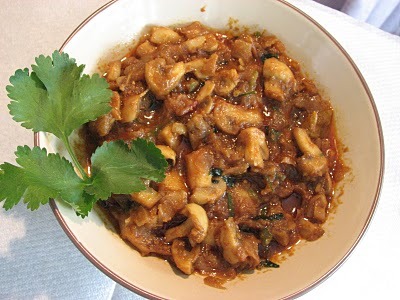 •Add vegetables (brinjal and sweet potato pieces) now to the above and fry them for about 8 minutes. •Now add turmeric powder, red chilli powder, salt to taste and mix them well. •Add pulusu to the above. Pulusu or tamarind purie is made by soaking tamarind in water. 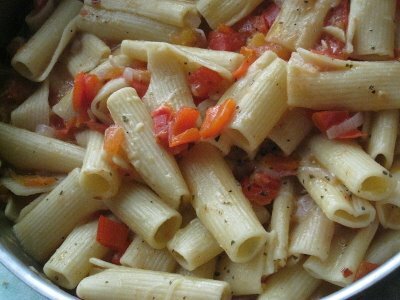 •Let it cook in medium heat for about 10 minutes and stop the stove. 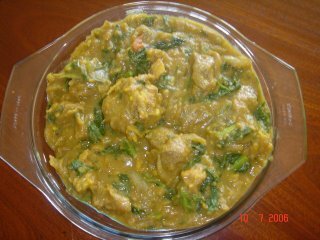 •Garnish it with fresh green corriander leaves and serve it hot with hot steamed rice. Tip: Fenugreek seeds are very important for this recipe as it adds a flavour and aroma to the curry. Add pulusu only when the vegetables are cooked well in the oil. •Chop tindora into small fine pieces and make few slits on green chillies and keep them aside. 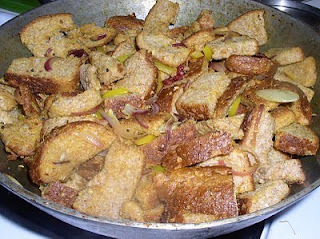 •Then fry the fine chopped tindora also on a medium heat till they turn golden and allow them to cool down. 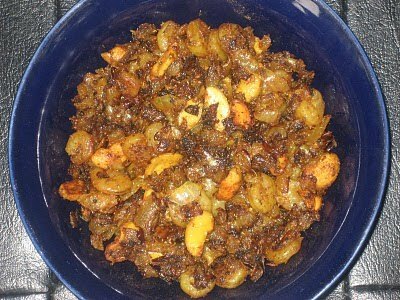 •Now in a mixer jar add this fried tindora, green chillies, tamarind, 1 tsp cumin, garlic and salt and grind them to make a coarse paste. 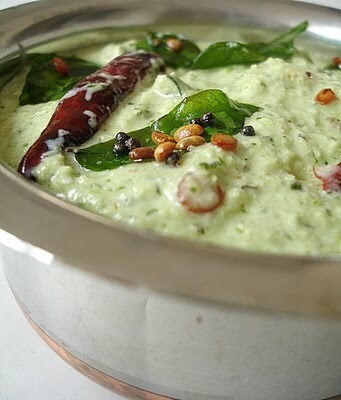 •Take this chutney in a bowl and keep it aside. •For seasoning, take 2 spoons oil and preheat it and keep the stove on medium heat. •Add the above to the chutney and serve with rice and ghee. Tip : Little ripe tindora tastes amazing for this chutney as it gets tangy as it ripens. Remember if it is too ripe then the chutney will taste sweet which is not desirable. •Green chillies - 3 nos. •Wash and cut mushrooms into small pieces or keep them whole if button mushrooms. •Chop onions and green chillies into small pieces. •Now in a pan add 3 spoons oil and preheat it. •Add onions and chillies to the oil and fry till they get golden brown. 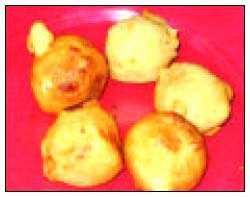 •Now add mushrooms, red chilli powder, turmeric powder and salt to taste and fry them for about 5 minutes. •Add 1/4 cup of water to it and on medium heat let it cook for another 2 minutes. 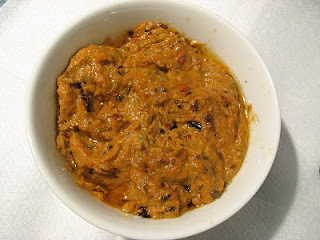 •Grind the masalas mentioned above into fine paste and add it the curry and let it cook for another 5 minutes. •Once oil starts oozing out, stop the stove. 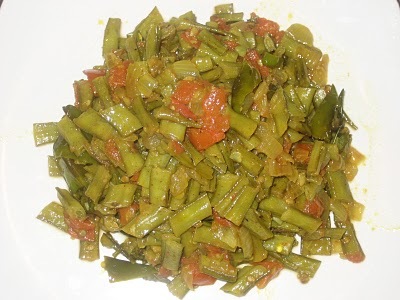 •Add fresh chopped corriander leaves for garnishing and serve it hot. 1. 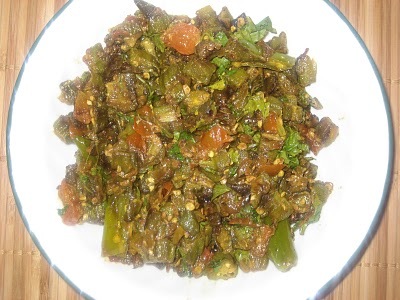 Heat oil in a pan, fry methi seeds till they turn light brown in color. 2. 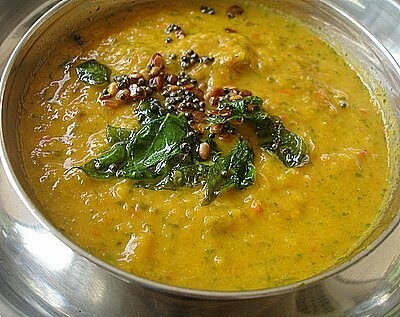 Add asofetida, urad dal, chana dal, dried red chillies and fry on medium flame till the raw smell of the dals disappears. Take care that the dals don't get burnt. keep stirring continuously. This process takes about 5-7 mts. 3. Switch of the flame. Allow to cool off , add salt and grind it to lightly coarse powder. 4. Mix lime juice, adjust salt and store in an air tight container. 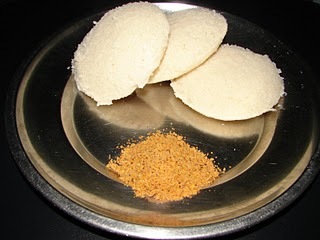 Goes well with idly, dosa and even steamed rice too. 1. Pressure cook vegetables in 2 cups of water till 3 whistles. Once cool, remove and drain excess water. 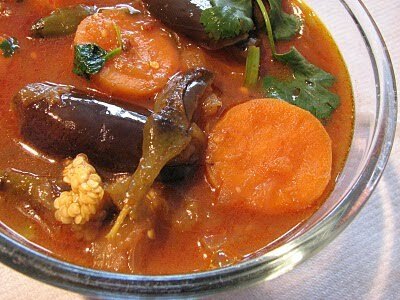 Excess water can be saved and reused at a later stage while adding water to this curry. 2. Heat 1 tsp of oil in a kadhai/sauce pan, add half the onions and fry till soft and light brown in color. Remove from flame, allow to cool and grind to smooth paste along with cloves, cinnamon, cardamom, ginger and garlic. Set aside. 3. Heat rest of the oil in a kadhai, add bay leaves, fry for a minute. 4. Add remaining onions and fry till soft and golden brown. 5. 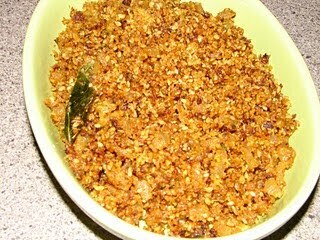 Add ground onion paste, chilly powder, coriander powder, cumin powder, salt to taste and fry for 2-3 mts on medium flame. 6. 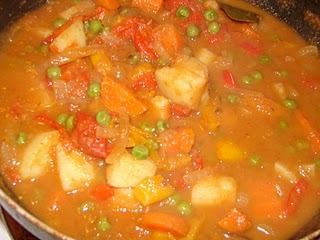 Add boiled vegetables, green peas, cherry tomatoes and mix well. 7. Add water and bring it to boil, reduce the flame and allow to cook till the gravy is thick. 8. Once the gravy is thick add garam masala, butter/cream and mix well. 9. 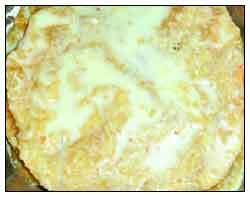 Switch of the flame, garnish with coriander leaves and serve hot with naan, roti or chapathis. 1. Grind garlic, coriander seeds, and jeera coarsely. To it add sesame seeds and grind to a coarse powder. Set aside. 2. 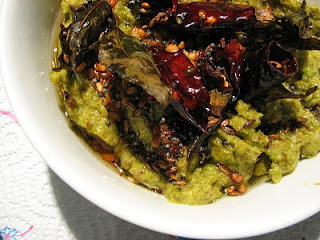 Heat oil in a kadhai, add curry leaves, chopped onions and turmeric. 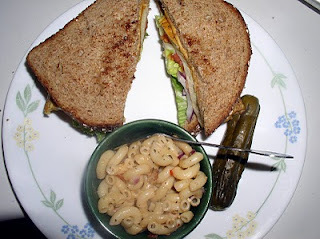 Allow the onions to turn light brown in color. 3. Reduce the heat to medium, add ground sesame powder, salt to taste and fry for about 8 mins so that the curry doesn't stick to the pan. 4. Add chilly powder and fry for another 5 mins on low flame till the curry turns golden brown . 5. 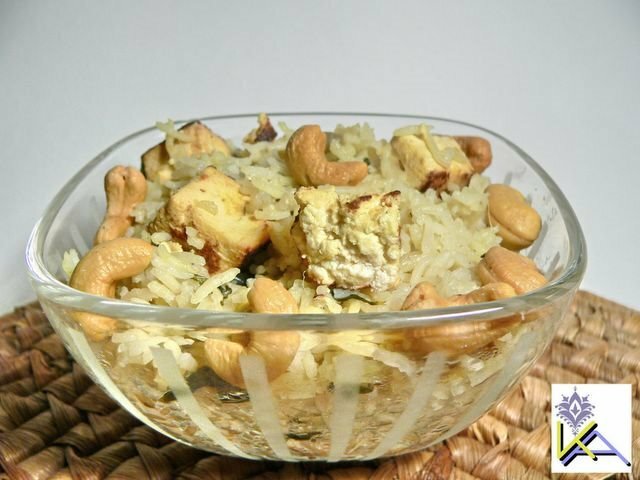 Serve hot with steamed rice, a dollop of ghee and I bet u'll luv it. 1. Take a large bowl and mix maida, salt and ajwain seeds. Add ghee and to this and mix well . 2. Make a well in the center and add water slowly while mixing, till it forms a pliable dough. 3. Knead the dough till smooth (about 4 - 5 mts), cover and leave it for 10 - 15 mts. 4. Divide the dough into 2 halves and roll out into thin puris. 5. Cut each puri into long strips 1 cm wide and then again diagonally into diamond shape. 7. 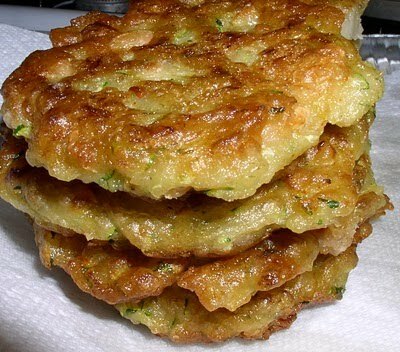 Serve with a hot cup of tea or soup of your choice. These can be stored in air tight containers and their shelf life is longer too. 1. Add 1 tsp of salt in hot water and soak cauliflower florets for 3 mts. 2. Drain water and set aside. 3. Heat 1 tb sp of oil in a pan and add half of chopped onions. Fry for 3 mts in low flame. Add all of the chopped capsicum to it and fry till onions and capsicum turn their color. Switch of the flame and allow them to cool. 4. Grind tomato, poppy seeds, cloves, elaichi, dalchini, dhaniyalu, jeera, ginger and garlic, fried onions and capsicum to smooth paste. set aside. 5. Heat 2 tb sps of oil in a pan, fry remaining onions till golden brown. Add cauliflower florets, mix well and cook with lid covered for 3 mts in low flame. 6. Add ground paste, 1 1/2 tb sps of chillie powder, salt to taste and 3 cups of water. mix well. Turn to high flame and bring to boil. Allow to cook with lid covered till gravy turns thick and cauliflower pieces are well cooked. 7. Garnish with coriander and serve hot with rice, chapathis or roti. 1. Add 2 cups of water to prawns and bring to a boil and cook for more 10 minutes on low heat, drain and keep aside. 2. Heat oil in a thick bottom kadai, add cumin seeds and mustards, let them splutter. Add cashewnuts and curry leaves, saute for few seconds on low heat, add finely chopped onions, fry till transparent. 3. Add turmeric powder and ginger garlic paste, saute for few more seconds, add cooked prawns, mix, covered, stirring between, cook for 10 minutes. 4. Add red chilli powder, coriander powder, cumin powder, whole garam masala powder and salt, mix well, covered, stirring between, cook for 10 minutes. 5. Remove the lid, cook till completely dry and finally add finely chopped coriander leaves and turn off the heat. 6. 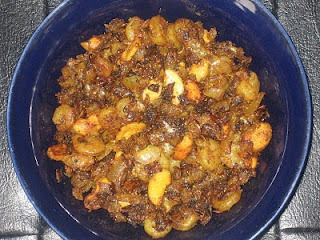 Yummy prawns fry is ready to serve. Serve with white rice.